Yosemite, Yellowstone, the Smoky Mountains. Even Americans who haven’t been to these parks somehow know of their beauty and grandeur. But for many, Banff National Park doesn’t harken the same response as these other North American national parks. There are so many things to do in Banff National Park, yet it remains virtually unknown to the average U.S. family. In fact, it remains so unknown to many Americans, that even as I was writing this, a stranger leaned over my shoulder and asked me if Banff was a planet in Star Wars. I am not making that up. So what is Banff? 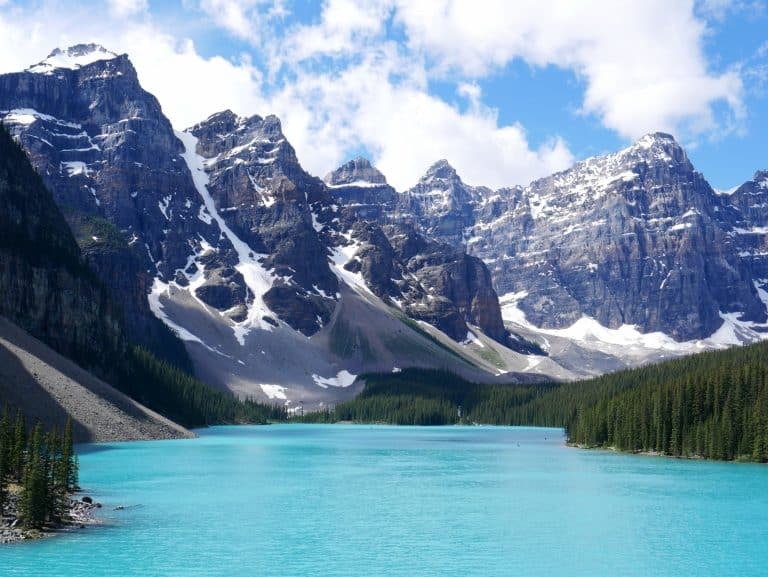 Situated just east of border of the provinces of British Columbia and Alberta, about 60 miles west of Calgary, the city of Banff is home to Banff National Park, the Canadian Rocky Mountain paradise that every family living in North America needs to see. 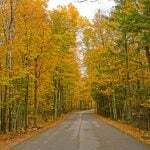 Established in 1885, this national park is one of the world’s most visited national parks, in spite of the general U.S. unfamiliarity. Families can begin their Banff National Park exploration by walking the quaint downtown streets of Banff. Situated right in the middle of the city, the Banff Visitor Info Center is a fantastic place to get oriented with the area as both commercial tourism information and Parks Canada, representing Banff National Park, are located within the doors of this historic building. A myriad of shopping and dining opportunities are offered on the streets of downtown Banff, with plentiful souvenir possibilities around every corner. The Whyte Museum of the Canadian Rockies and Banff Park Museum are located just off the main drag if you are looking for more downtown activities. Tip: Don’t forget to snag a copy of the Parks Canada Xplorers booklet while in the visitor center. Similar to the Junior Ranger program in the United States, this activity guide will help orient your children to the park’s wonders. 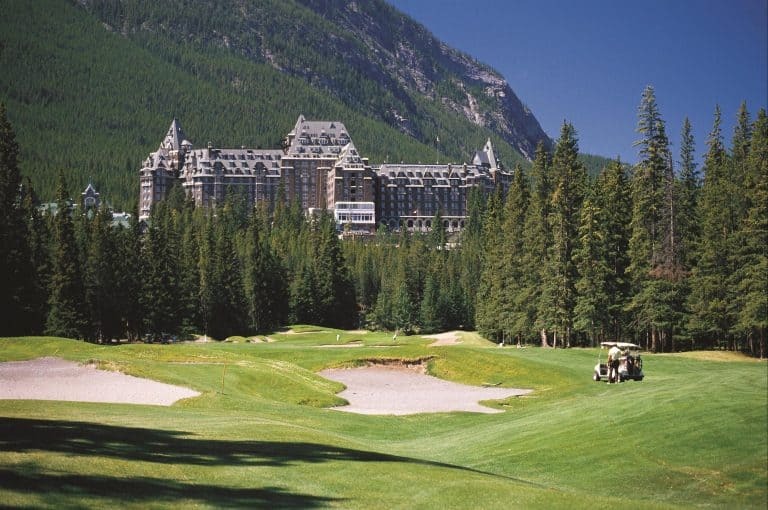 The scenic wonderland of Banff provides the perfect backdrop for the game of golf. Mix this with the grandeur of the Fairmont Banff Springs Hotel & Resort, the historic hotel built in 1888, and golf-loving families have a veritable paradise. Golf packages are available for the whole family at the internationally acclaimed Banff Springs Golf Course, including CPGA lessons for children 4-18 years old. Families can also play the way the course was intended, with the Heritage Golf Experience that lets golfers utilize antique and replica equipment from nearly 100 years ago. Tip: Green fees are significantly cheaper, albeit without the worldwide golfer hype and following, down the road at Brewster’s Kananaskis Ranch Golf Course. 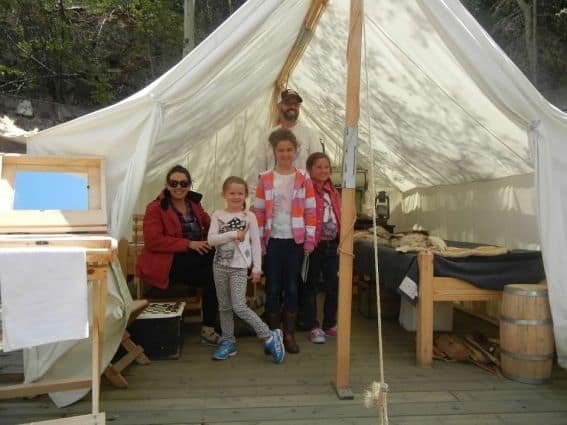 The official starting point of Canada’s national park system, Cave and Basin National Historic Site is an ideal starting place for your Banff adventure. 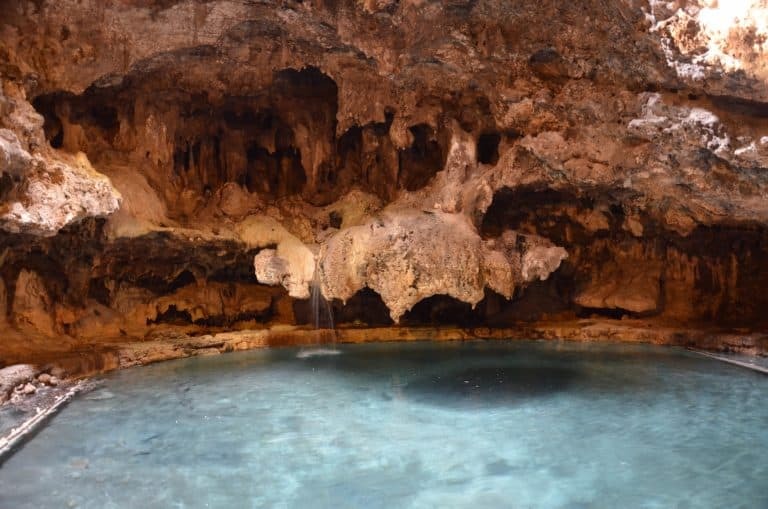 Kids can secure an Xplorer certificate and dog tag while completing a scavenger hunt through this landmark that takes families through the history of the region, the cave and water basin of its namesake, and Canada’s national park system. Tip: Got a kiddo afraid of caves? This small, well-lit cave provides ample peace of mind for frightened little ones, and the assortment of other activities and offerings onsite will keep them entertained if the cave still scares them away. 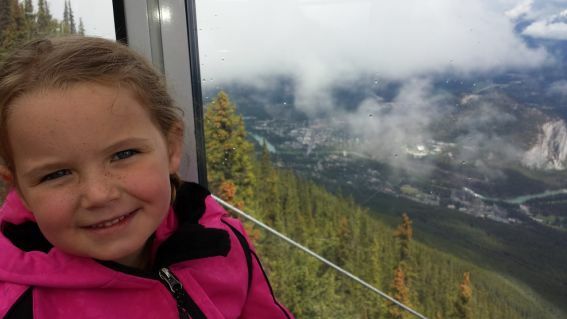 Taking a trip to the top of Sulphur Mountain on the Banff Gondola offers not only some of the best views of the surrounding area and its gorgeous six mountain ranges in every direction but also an exciting ride on the one-mile gondola ride to the top. While we visited in mid-June, we happened upon a variety of weather experiences during our tour including rain, hail, snow, and sunny skies. 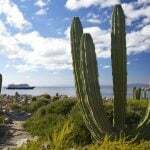 A gift shop, restaurant, and lookout area, as well as numerous hiking trails (you can even hike up if you want! ), greet you at the top of the mountain. Good to Know: An easy 1km, self-guided, interpretive boardwalk is a great way to enjoy your time at the top of Sulphur Mountain. The path also leads to the Cosmic Ray Station National Historic Site and the Sanson’s Peak Meteorological Station. For families who are prepared for more intense hiking experiences, check out this guide to first summits for families in the Canadian Rockies. The lake and rivers in and around Banff are filled with freezing glacial water making swimming an option only for the very hardy. 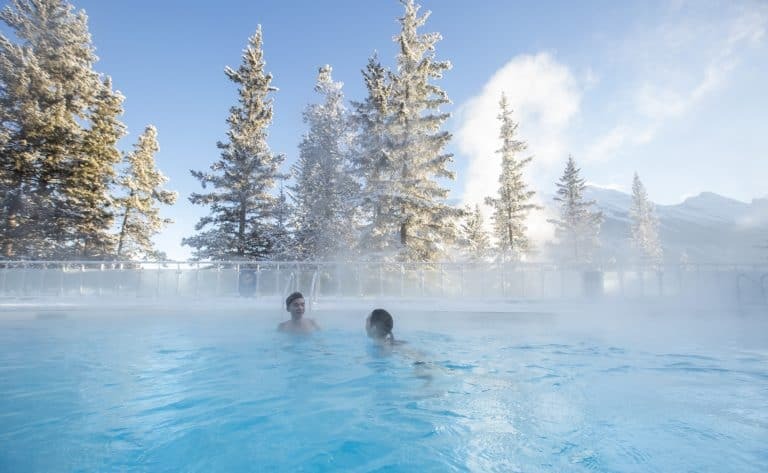 The mineral water temperatures at Banff Upper Hot Springs, however, range between 98ºF and 104ºF, making a dip in these natural, albeit modernized, pools a must while visiting Banff. Trekaroo families recommend arriving early (when the college crowd is sleeping) and renting the old-timey bathing ‘costumes’ for a fun twist on your typical pool experience. Check for hotel availabilities in Banff. Tip: Radium Hot Springs and Miette Hot Springs offer similar water experiences, all within a short drive from Banff National Park. Although hiking trails abound in and around Banff, a great way to take in the sights of the backcountry without breaking a sweat is by taking a horseback ride. 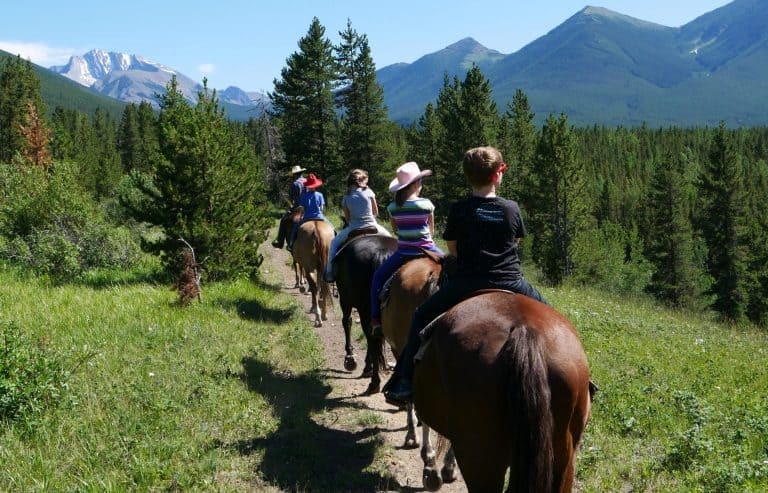 At the Warner Stables, operated by Banff Trail Riders, families with kids 6 and up can take guided horseback rides through the mountain trails that surround the city, offering incredible views and the chance to spot wildlife in their natural habitat. Consider taking a Western dinner cookout ride that stops midpoint for a hearty cowboy meal; little ones can ride a wagon making it convenient for the whole family to enjoy the step back in time. 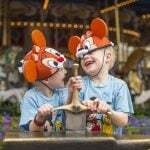 We would be remiss to not mention the numerous possibilities for family fun during the wintertime in Banff. Just as busy around Christmas as it is during Canada Day, the region comes alive if there is a chance of powder in the forecast. 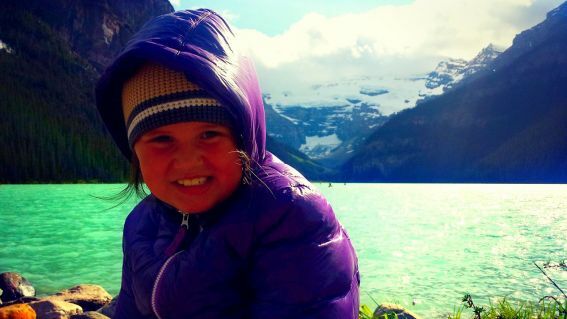 Lake Louise Ski Resort boasts killer views and a kids ski program that is top notch. It is steep and deep, definitely a good option for those who want the wow factor of the scenery. 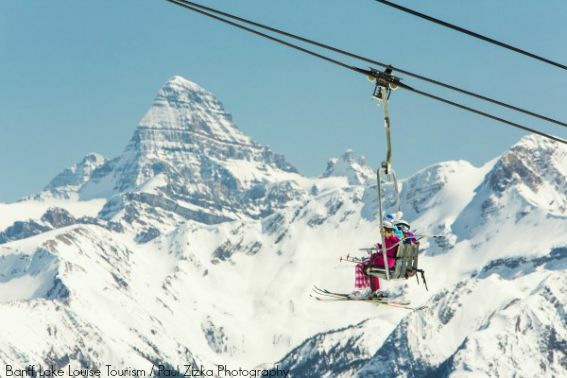 Sunshine Village, part of our 2014 best family ski resort poll, has almost a cult following. Family-friendly Mt. 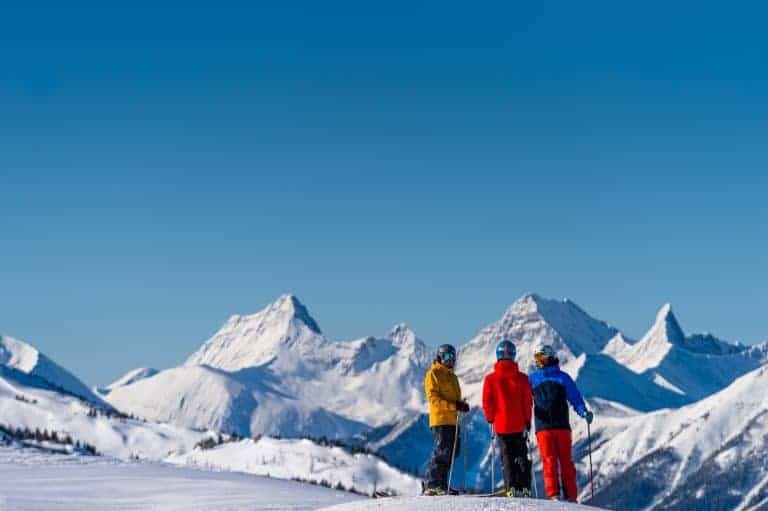 Norquay, just minutes from the heart of Banff proper, offers some of the same great slopeside experiences while avoiding the ski snob attitudes of popular mountains elsewhere. 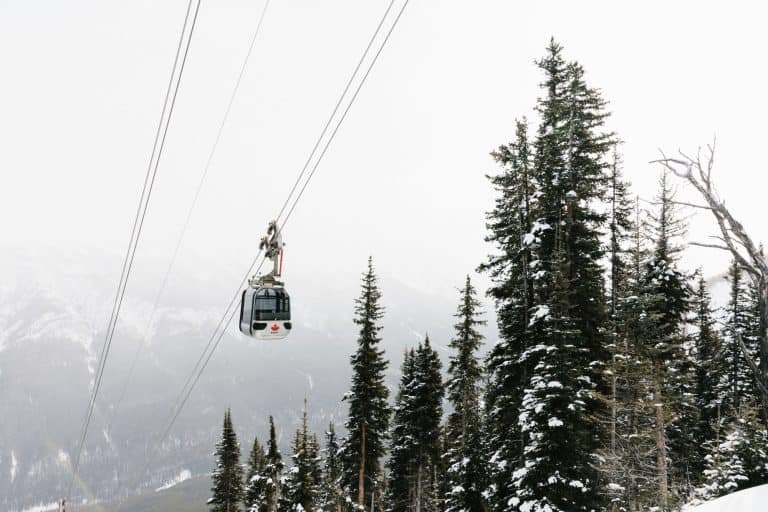 Take an open-air or closed gondola to the top of the Lake Louise Ski Resort aboard the Lake Louise Gondola for one of the region’s best chances to see wildlife. 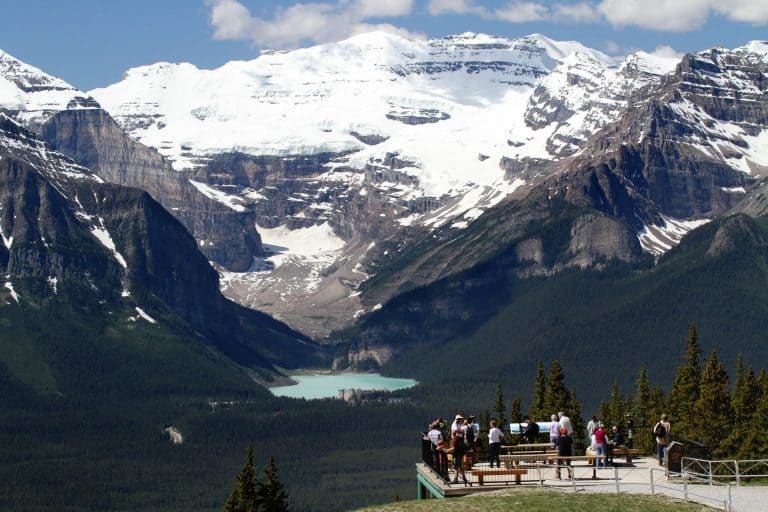 During your 14-minute-long journey to the top of the mountain, the 6,850-foot altitude gives you ample opportunity to see Lake Louise, glaciers, majestic mountain peaks, wildflower meadows, and plenty of wildlife. In fact, this gondola is one of the region’s best chances to see grizzly bears, with sightings almost daily in the spring and summer months. Once at the top of the mountain, take the short walk to the Interpretive Centre for self-guided, natural heritage presentations, guided talks, and guided hikes and tours. 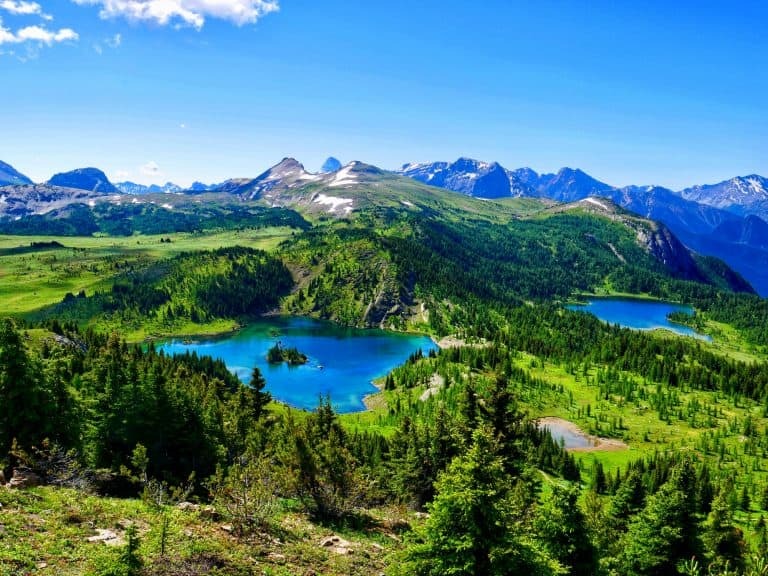 For families, one of the best ways to explore Banff National Park is by hitting one of the numerous trails that take visitors out of the tourist stops and into the heart of this beautiful country. Great trail options from Banff proper include the Fenland Trail, a mostly shaded 2.1km self-guided loop; Silverton Falls, an easy 1km trail; and the hikes to the Upper and Lower Falls of Johnston Canyon (both of which can be seen in under 3 hours round trip). From the Lake Louise area, consider the hike to the Lake Agnes Treehouse, a moderate 6.8km hike that rewards travelers with tea, pie, and a beautiful waterfall view. The Bow River Loop & Interpretive Trail, and Lake Louise & Lake Moraine Shoreline trails are also best bets. Families will also enjoy taking the gondola to the top of Sunshine Meadows in Summer and hiking back down. Good to Know: For the best tips on trails for your family’s ages and abilities, be sure to chat with a Parks Canada Ranger before beginning your hike. Whenever you hike in Banff, be ready to encounter wildlife, including bears, by taking the proper precautions. Little compares to your first glimpse of a glacial lake. The stunning aquamarine color supplied by the glacier as it slowly glides down the mountainside produces some of the most vibrant blues and greens on earth. Lake Louise is one of the world’s most famous, and the Fairmont Lake Louise, situated on the shoreline, boasts pristine views. Moraine Lake, a very short drive off the main road, features similarly stunning views with a bit less of a crowd and a fun rock pile trail that kids will love scampering up to explore the fantastic views. Look for the best hotel prices in Banff. Get on the lake: Families can rent canoes and kayaks at most of these glacial lakes to experience the beauty of these marvels from a unique vantage point. Explore the history of the region and its lakes on board the Banff Lake Cruise on Lake Minnewanka. Families won’t be short on dining options while visiting Banff National Park. The well-developed town of Banff boasts plentiful dining options from familiar chains to fine dining experiences for every budget (although there are little budget dining options in town outside of cooking your own meals). 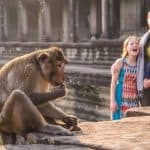 Trekaroo families recommend dining at the Bear Street Tavern and Elk and Oarsman, or for a special treat, consider ice cream at Cow’s or even High Tea at the Fairmont. Lodging opportunities abound in Banff National Park. 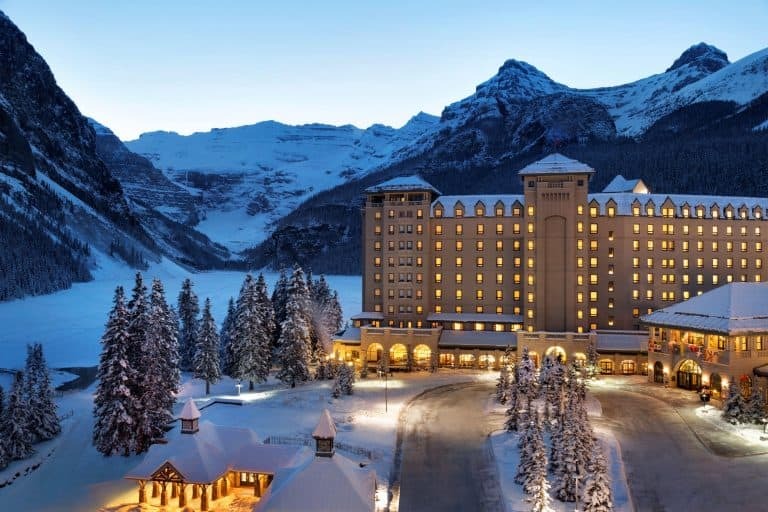 For the ultimate splurge, consider staying at the historic Fairmont Banff Springs or Chateau Lake Louise, both of which made our top list for ultimate hotel splurges in North America. 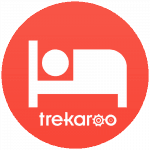 Trekaroo families also recommend the Douglas Fir Resort and the Hidden Ridge Resort, where families can spread out in a massive three-story condo with full kitchen for making those budget meals. Located a 3-hour drive from Banff, a trip to the Columbia Icefields along the Icefields Parkway is a must-do day trip while in the area. Along the gorgeous drive, you’ll pass a seemingly never-ending array of postcard-ready backdrops and destinations including the Crowfoot Glacier, Peyto Lake, the Saskatchewan River Crossing, Bow Lake, Bridal Veil Falls, and the Weeping Wall. 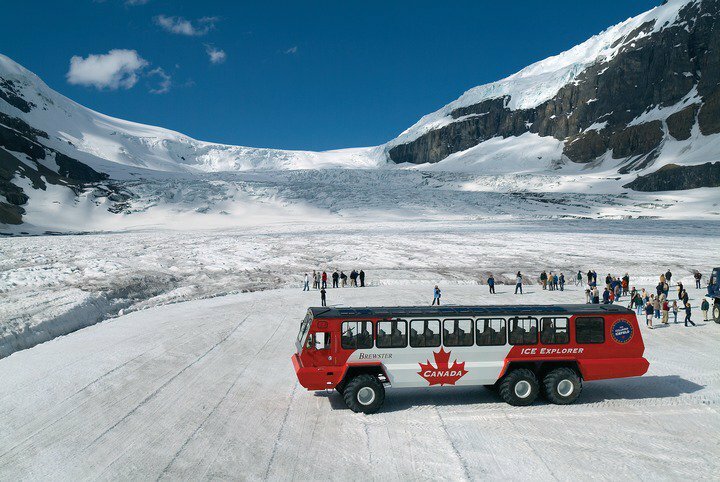 The “end” of this tour, which is really the start of Jasper National Park (another national park jewel), is the Athabasca Glacier at the Columbia Icefield, the most accessible glacier in North America. Kids and adults alike will love taking the impressive 6-wheeled Ice Explorer vehicles that transport you on to the glacier where you can get out, walk on, and take pictures of this natural marvel. Don’t want to drive? 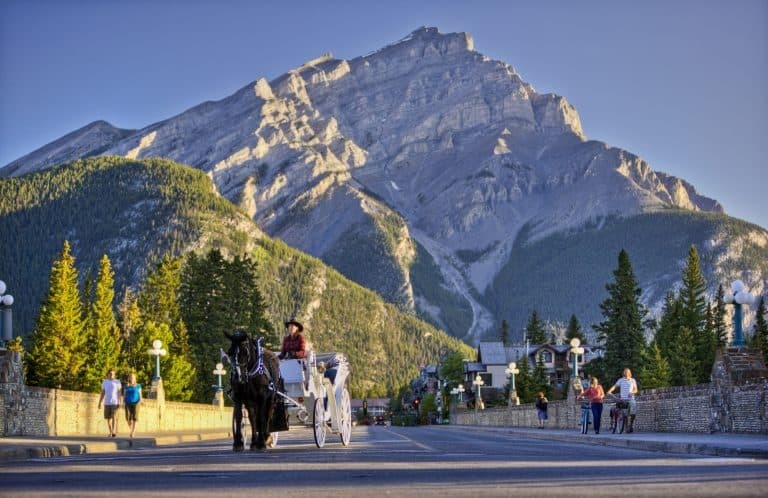 Discover Banff Tours will take you and your family via coach to all these stops along the way! Just east of the rocky crags, glacial lakes, and tree-lined forests of Banff National Park, the great plains stretch out in mass leading the way to Calgary. 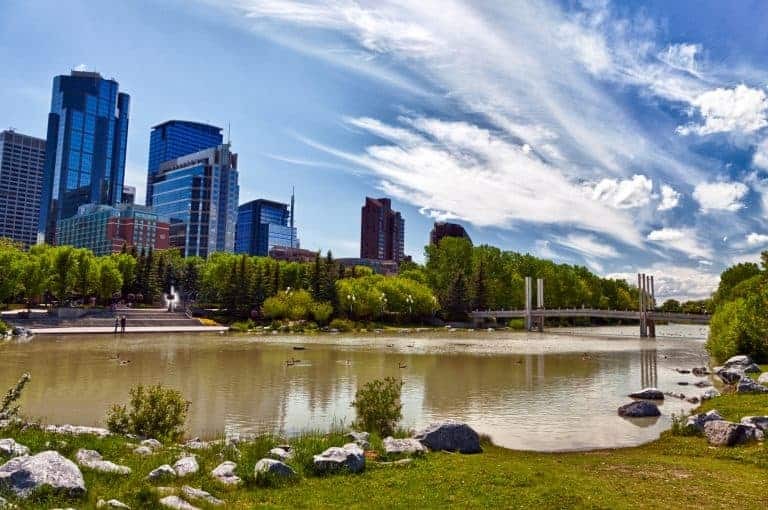 Families visiting this city will enjoy the TELUS Spark Science Centre, Heritage Park Historical Village, and Fort Calgary, in addition to the world-famous Calgary Stampede. 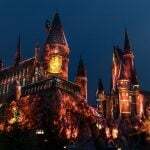 Disclosure: I received complimentary or discounted admission at some of the above-referenced activities while researching for this article. I was not required to state any particular view; all opinions remain my own.